I specialise in branding and website design for small creative businesses who crave a no-fuss approach to design. I believe that there are enough stresses involved in running a successful business – your branding and website shouldn’t be one of them. Since launching Wildflowers & Pixels in late 2015, I have partnered with over 180 small businesses from across the globe to design brand identities and websites. You can view some of my design work on my portfolio and read testimonials from clients. My experience as a professional designer for over 15 years has shaped how I run my business, my processes and how I approach each and every project. I aim to give you a personal, strategic service that is a worthwhile investment in your business. I don't sell websites. I give you a tool to grow your business, convert visitors into customers and establish your brand online. Don’t you hate faceless businesses? I know I do, I wanna see and make a personal connection with the person I’m working with. Which is why I like to show my face around here and on my social media, I want you to know that I’ll be your designer and sole point of contact through the whole process. This page is a bit about me but if you want to know how I can help you, check out my services page. Designing mobile-friendly websites that look professional and help you achieve your online goals. Creating modern branding that establishes your credibility and helps you make your mark on the world. Helping you maintain and manage your website so you don’t have to worry about security and making regular updates. Providing helpful advice on managing your online presence, branding and running your small business. Yeah, but who am I? 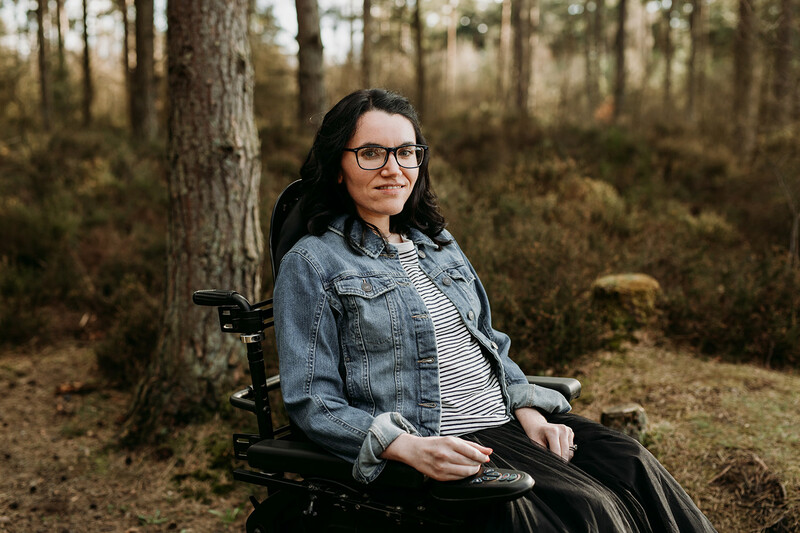 Now that all that formal stuff is out of the way, it's time to share a little about me - the person who runs things around here and the one you'll contact if you want to make your business more visually kickass. 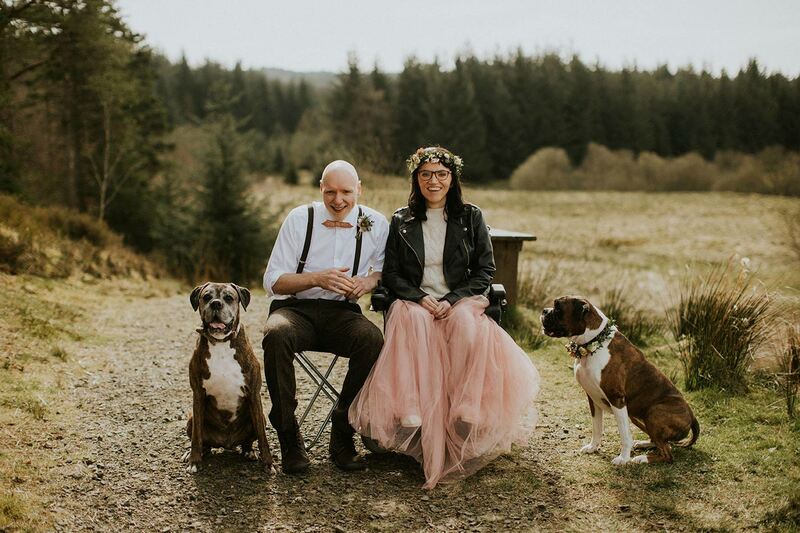 I’m Claire Cheyne, I live with my husband, Ewan (you can see our wedding here), who is a pet photographer and our two boxer dogs, Bukowski & Aurora in a small Scottish town. We are lucky to be perfectly located in Falkirk which is near the big cities, like Glasgow and Edinburgh, as well as the many beautiful locations that Scotland is known for. When I’m not working with clients or growing my own business, you can usually find me in independent coffee shops, munching on plant-based food or binge watching Netflix. Let’s have a chat about working together! We can create some pixel perfect magic to get your branding and website performing better and making you more money.